A quick rundown of all the information you need to expedite the assistance you require is available! Beyond the obvious and most important information, being what the problem is, you need the Make, Model and Serial Number of your fireplace components. However, how do you find these and how do you tell which alpha-numerical code is which? 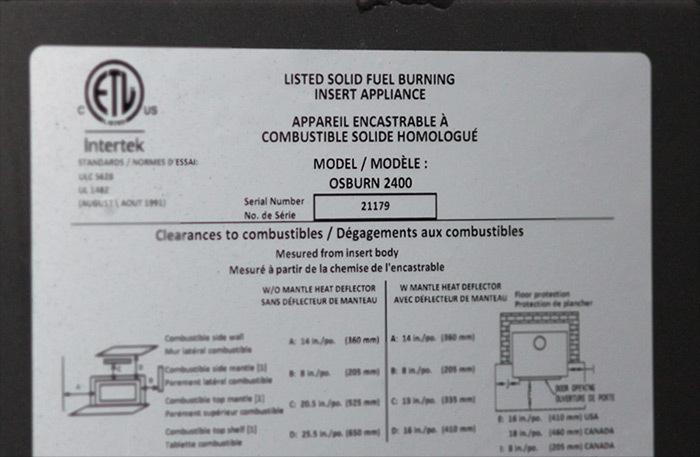 Often, you do find the model number prominently labeled on the data plate or data sticker for your fireplace components, but the serial number, which also found on these data plates and stickers, is not always as apparent. 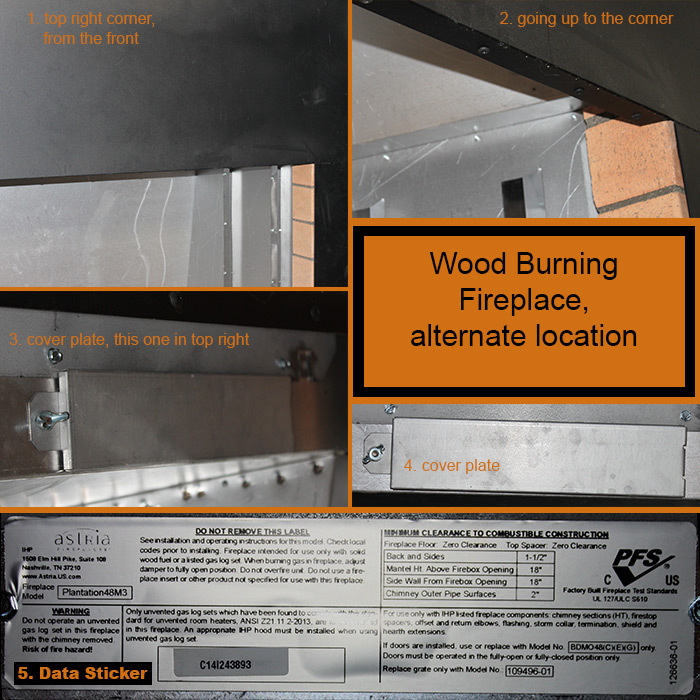 These data plates or stickers appear in several places across brands and types of fireplaces, and we have done our best to make sure that we can tell you where to look on all of your fireplace components. 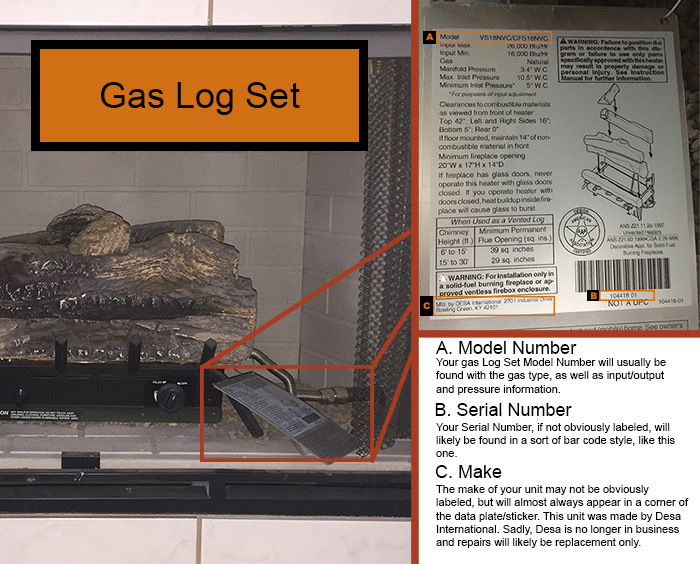 If your fireplace issues are with your burner system or your gas logs, the information should be readily available on the appliance data plate. This data plate is most frequently a metal plate attached to the control valve with a chain or wire. Simply taking a picture of this plate allows you to have this information readily available and at your fingertips during your troubleshooting attempts. 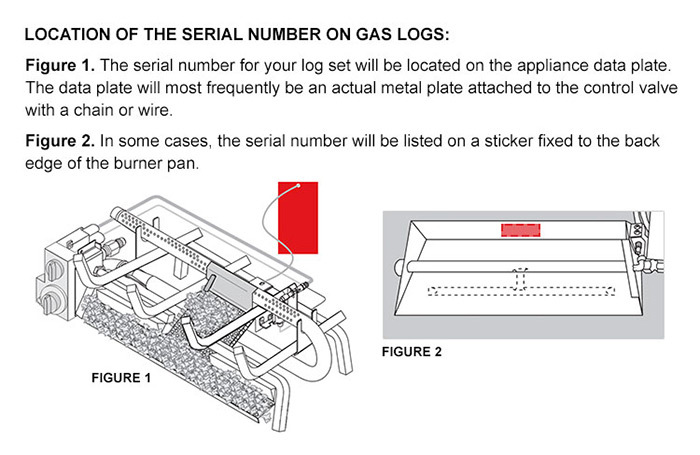 Occasionally, the appliance data plate is removed and discarded by the appliance installer. If this has happened to you, do not lose hope. There is another place that your burner might have this information. At the back of the burner pan on the burner itself, for some brands, there might exist an information sticker with the information you need for your troubleshooting attempts. Again, take a picture to have this information at your fingertips. 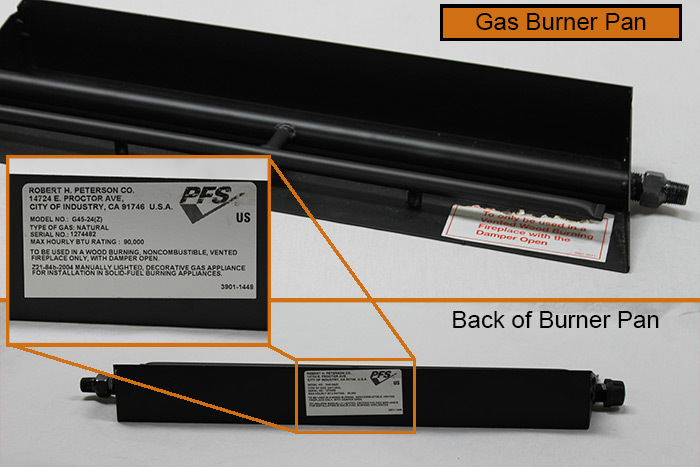 If your troubles are within a gas fireplace, a gas fireplace insert or a gas stove, there are two locations that your serial number can be located. One is the standard data plate, which should connect via wire or chain to the control valve. If you do not have a data plate, then you are looking for a data sticker. This data sticker is likely fixed to the floor of the appliance chassis, which requires a little bit of work for you to get to it. In this case, the lower louver or access panel needs to be removed to locate the data plate sticker and find out your serial number. So you do not have to continually take your fireplace apart during the troubleshooting process, go ahead and take a picture of the sticker, so you can have it readily available. 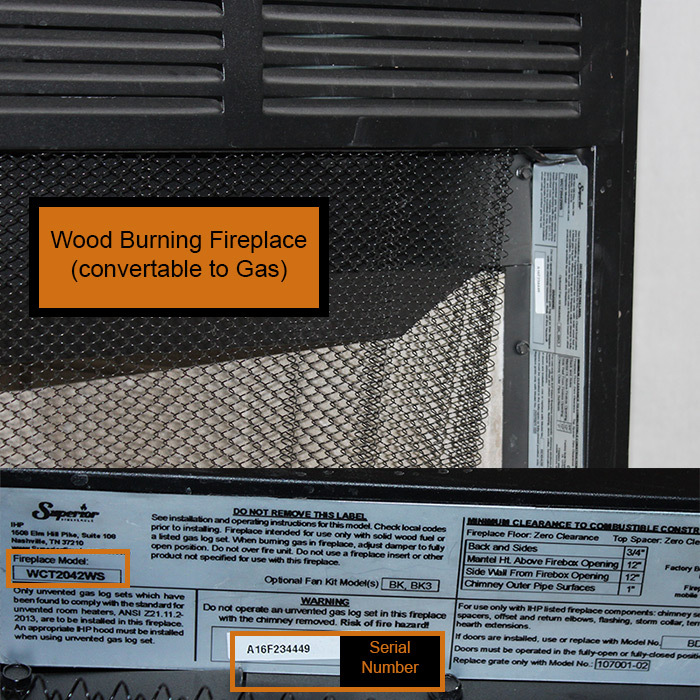 In some cases, if the fireplace was originally a wood burning one, and was able to successfully convert to gas, you might find the appliance data plate next to the top of the mesh screen on either side of the fireplace, as in Figure 7 below. 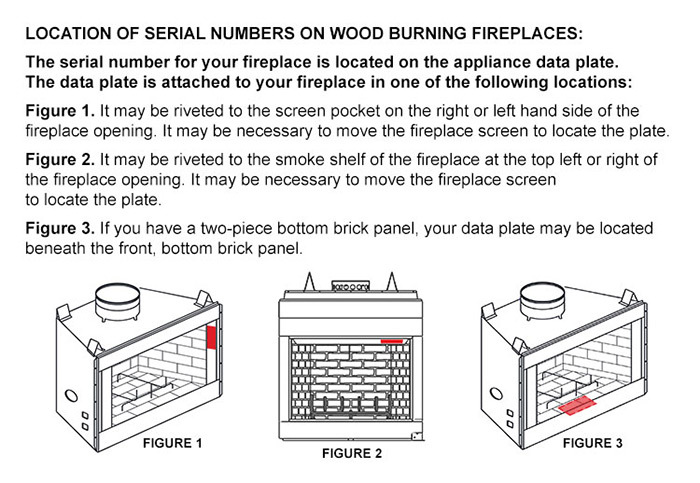 In wood-burning fireplaces, the serial number is located on the appliance data plate. 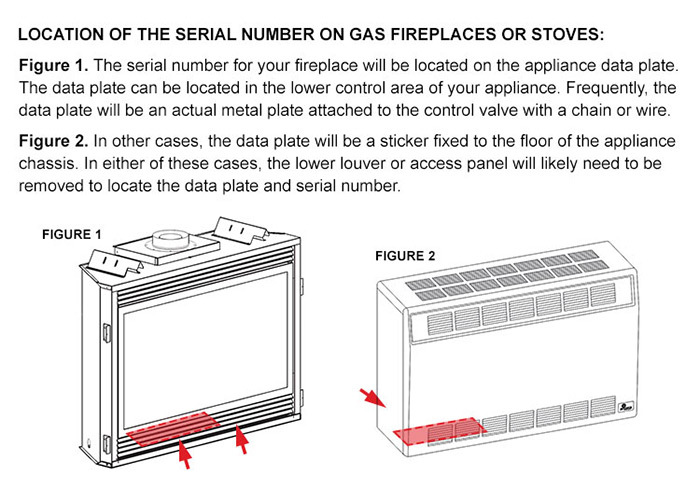 The location of the data plate depends on the type of fireplace you have. 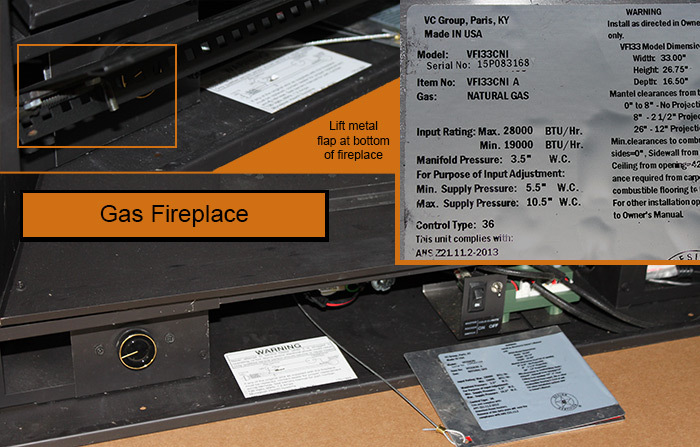 In some cases, the appliance data plate might be riveted near the top of the screen pocket on either side of the fireplace opening. In other cases, the data plate could be riveted to the smoke shelf at the top left or top right of the fireplace opening. It may be necessary for you to move the fireplace screen to locate the plate in either of these instances. If you have a two-piece bottom brick panel, however, your appliance data plate may be located beneath the front of those two panels. With any of these locations, given that they might be difficult to get to, when you do find the data plate, go ahead and take a picture. 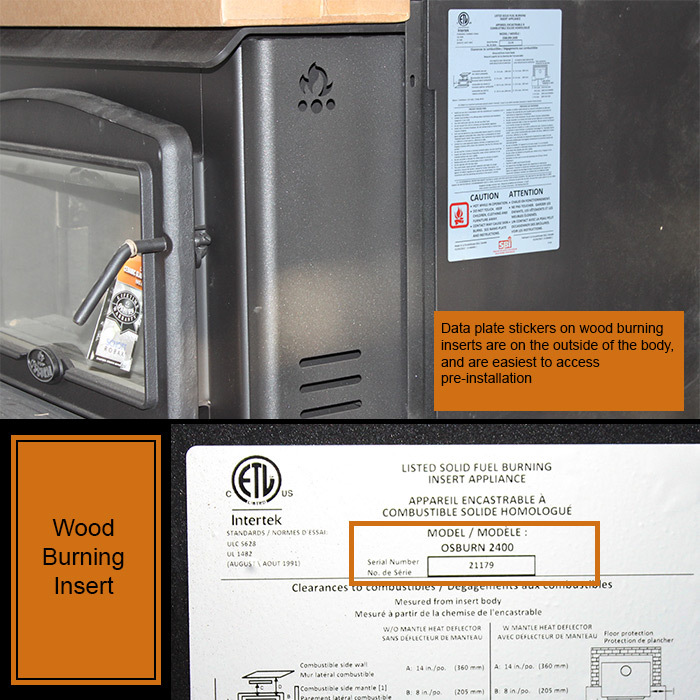 Free-standing stoves tend to have their appliance data sticker on the back of the appliance, like the wood burning insert pictured above (Figure 9) has it's sticker on the side of the exterior of the appliance. Fireplaces are sometimes difficult beasts to identify, but we are here to help. Having the largest amount of information you can before you reach out to fireplace experts expedites the process of troubleshooting and repair, allowing you to resume utilizing and enjoying your fireplace in the least amount of time. 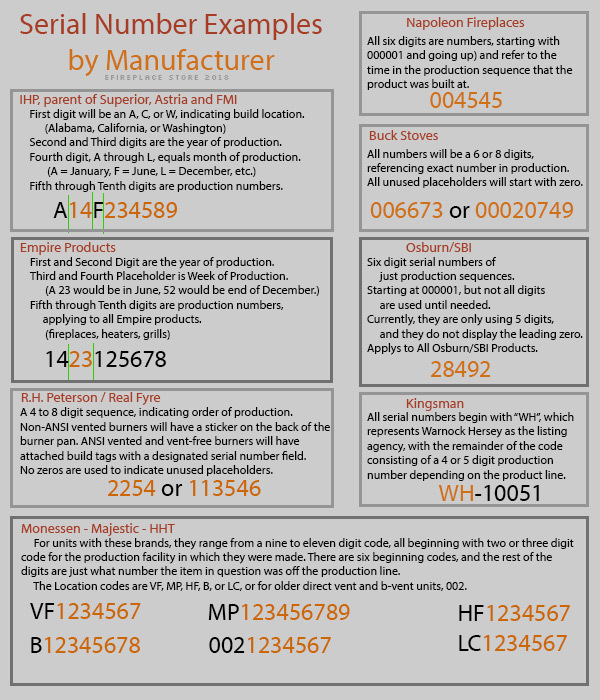 The above image shows the serial number format for several manufacturers, which can help you identify which number is which if your numbers are not as clearly labeled as they are on some of our examples. 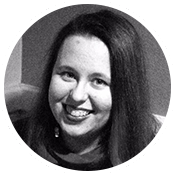 Adrienne is our wordsmith in residence, specializing in Content Writing and Editing. During her free time, she reads, writes, makes art, and plays with her two cats, Inkspot and Nicholas. Adrienne also enjoys collecting books and has a personal collection of nearly one thousand well-loved tomes.